Today I thought I would share a post from one of my favorite blogs I read. Adrianne and Jeremy from Dream Book Design have beautiful style and create the most gorgeous things from virtually nothing! 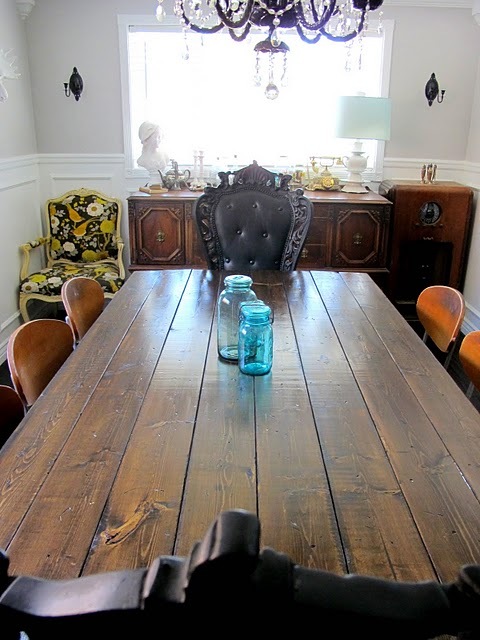 Into this beautiful farm house dining table! Check out that awesome table base! So beautiful Adrianne & Jeremy, you guys are amazing. Thank you for letting me share!